Join us on a Dive! 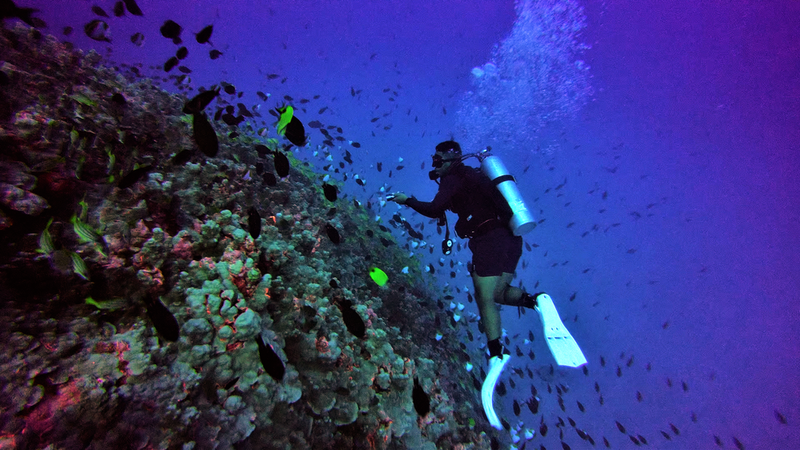 Join us on select mornings or every afternoon as we explore a local west side Oahu dive site. This is for SCUBA divers of all skill levels with a minimum of an Open Water Scuba Diver certification as well as for snorkelers. Come see why the Waianae west coast is regarded as the best diving on Oahu. We will explore a popular dive site on the west side, possibly including the Makaha Caverns when conditions permit. Come experience converging lava tubes that form a spacious underwater well-lit cavern. Enjoy Hawaii’s unique sea creatures, including sea turtles, octopus, eels, dolphins and coral formations. All equipment is included with the price and three hours of boat time. Morning tours depart at 7AM returning to dock at 10AM and afternoon tours depart at 11AM and return to dock at 2 PM. Check-in at the dive shop 45 minutes before departure is required. ﻿Join us on select mornings or every afternoon as we explore a local west side Oahu dive site. This is for SCUBA divers of all skill levels with a minimum of an Open Water Scuba Diver certification as well as for snorkelers. Come see why the Waianae west coast is regarded as the best diving on Oahu. We will explore a popular dive site on the west side, possibly including the Makaha Caverns when conditions permit. Come experience converging lava tubes that form a spacious underwater well-lit cavern. Enjoy Hawaii’s unique sea creatures, including sea turtles, octopus, eels, dolphins and coral formations. All equipment is included with the price and three hours of boat time. Morning tours depart at 7AM returning to dock at 10AM and afternoon tours depart at 11AM and return to dock at 2 PM. Check-in at the dive shop 45 minutes before departure is required. For avid Scuba Divers- Join us every Sunday, Tuesday, and Thursday mornings at a variety of west side Oahu dive sites. This is for SCUBA DIVERS ONLY (Certified and Discover Scuba Divers). We will explore Hawaii’s unique underwater world, with a two-tank dive hitting two of the west side’s deep dives, wrecks, shallow reef, and/or cavern dives. This is the perfect option for those that want to be a part of the “diver only” experience. Advanced Open Water PADI certification required. Three hours total boat time. Morning tours depart at 7AM returning to dock at 10AM and afternoon tours depart at 11AM and return to dock at 2 PM. Check-in at the dive shop 45 minutes before departure is required. Are you considering diving? Not yet Scuba certified? Not to worry, we have you covered. You can experience Scuba diving for the first time on a Discover Scuba Dive (DSD)one tank dive. 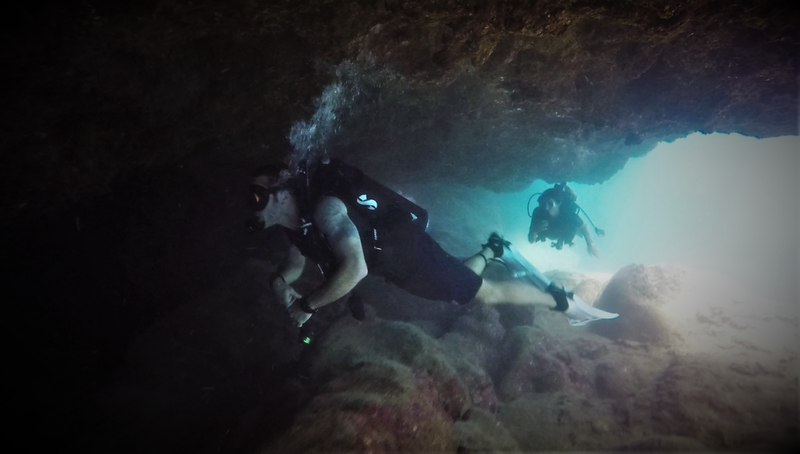 You'll learn basic diving skills, then enjoy a hand-held experience underwater all by Certified Padi Instructors, hand picked and personally trained by Navy SEALs. After your initial dive, if you want more - we offer a wide variety of Padi certifications recognized worldwide. Must be at least 10 years old. All equipment is included with the price. DSD Lagoon dive is a one tank dive and lasts 1 hour and DSD boat dive is a one tank dive and a total of 3 hours total boat time. Exclusive One-on-One scuba diver training from a combat proven, veteran US Navy SEAL. This is the crown jewel of Trident Adventures and what sets us apart from every other dive company in all of Hawaii. There is no better training in the world when it comes to this underwater experience. For the most thrilling, comprehensive, safe, bucket list, “notch in the belt bragging rights,” scuba diving expedition, this is that platinum experience you’re looking for. Come learn to dive with the best of the best with either Jim or Steve. These guys know diving and know how to have fun! All equipment included with the price and three hours of boat time. No dive experience needed. 1 hour prep/instruction, 4 Hours total for Navy SEAL helicopter experience. Price for Helicopter jump - 1 Person $599, 2 people $1198, 3 people $1797, 4 people $2396 plus additional fees for water experience. Choose between snorkel, one tank dive, two tank dive or Discover Scuba Diver (DSD) for those without diving experience. Want to experience what it’s like to be a Navy Seal? Ever dream of jumping out of a helicopter into the ocean below? Well now is your chance! Come be a SEAL for a day and depart right from KoOlina in a helicopter, hover of the pristine blue water, plunge into the ocean blue and dive into the breathtaking views of the underwater world. Trident Adventures brings you this amazing one of a kind experience. Join us for an adventure like none other. An adventure so exciting you will tell it to your kids and grandkids for years to come. Come experience the thrill, with a Navy SEAL experience. 1 hour prep/instruction with a SEAL, 4 Hours total for Navy SEAL Exclusive helicopter experience. - 1 Person $2800, 2 people $3500, 3 people $4100, 4 people $4600. Want to experience what it’s like to be like a Navy SEAL, with a Navy SEAL? Ever dream of jumping out of a helicopter into the ocean below? Well now is your chance! Come enjoy this adventure with your own personal Navy SEAL. Depart right from Ko Olina in your own private helicopter, with your own personal Navy SEAL instructor/guide. Hover over the pristine blue water, plunge into the ocean below and scuba dive into the breathtaking views of the underwater world. Trident Adventures brings you this amazing one of a kind Navy SEAL experience. Join us for an adventure like none other. An adventure so exciting you will tell it to your kids and grandkids for years to come. Come experience the thrill, be Like a SEAL with a SEAL. Join us for a beautiful sunset cruise and then explore the west side of Oahu’s reefs after dark and see a different cast of critters, shark, eels, squid, octopus, and crabs... Our one-tank night reef dive is a local favorite. First we set sail just before sunset to watch the sun dip below the western horizon. Then when the lights are low, we plunge into the dark to experience a world like none other. Turn your lights off to experience Hawaii’s bioluminescence. Join us! All equipment is included with the price and two hours of boat time. Enjoy stunning panoramic views of the west Waianae mountains, Ko Olina, and Lana'i aboard Oahu's newest power catamaran, Trident 1. Steps away from your Ko Olina resort hotel, delight in the amazing views while enjoying tasty pupus (appetizers) and Trident Adventure’s signature cocktails and BBQ. Our seasoned crew will share local knowledge of Oahu's history and marine life. Departing from the world-class Ko Olina Marina, sip and sail with Oahu's most experienced dive company and discover for yourself why Trident Adventures has been voted the #1 dive company. Schedule your own luxury charter with our excellent crew. Take a group diving for your next event. We also host exclusive corporate functions from the Four Season Oahu, Aulani Resort, and the Marriott Vacation Club as well as resorts from all over Oahu - please call to help plan your next group adventure. 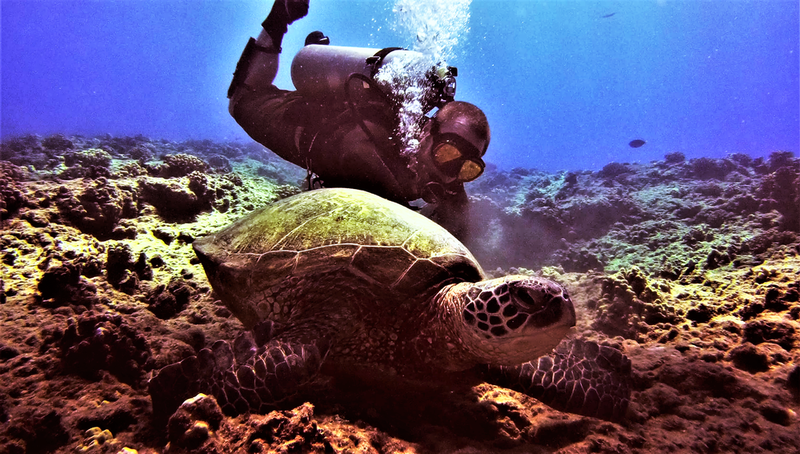 So you are a little more serious about the sport, and wish to take a look into taking Open Water Diving lessons and becoming licensed with a Hawaii PADI scuba certification. It's a great learning experience, and well worth your time if you are interested.